WhatsApp, one of the most widely used instant messaging Apps for Android, iOS and WhatsApp rolled out a feature on November 2017 that allows users to delete messages that have been sent i.e user has the ability to delete a message that has been sent by mistake or to incorrect recipients. The deleted message in Inbox shows as 'This message was deleted' and recently the ability to delete the message was extended to 68 minutes which was previously 7 minutes. But considering it a flaw, it can be still seen in the device notification. If you are curious about what the messages is all about and wanted to read the deleted message, you can easily read it by Installing a Third-party Apps (only for Android Users) and by using other Launcher. But, we will be learning how to retrieve by using the third-party apps. Step 2. Once you Install the Apps, Allow access to Notifications. and turn on Show Notifications button. Step 3. Open the App and allow it to run in the background. Step 4. Once your WhatsApp message is received, all notifications will be inside the Apps and it will also notify you if the message is deleted. Step 5. You can preview the message deleted using the Apps. But, only a few words (about 100 characters) are able to be retrieved and files sent and deleted cannot be retrieved. 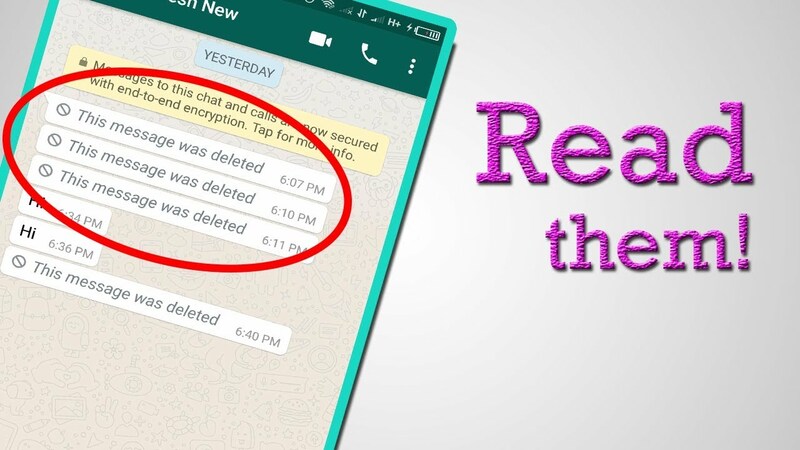 The reason why WhatsApp Deleted message feature was introduced is that if a wrong message has been sent to another person, you should be able to delete it or even send edited versions.